From 1994 to 2000, model Kate Moss and actor Johnny Depp were one of the, if not the, coolest and most beautiful couples. In 2012 the supermodel gushed to Vanity Fair about the romance saying, “Like if I said, ‘What do I do?,‘ he’d tell me. And that’s what I missed when I left- I really lost that gauge of somebody I could trust. Nightmare. Years and years of crying. Oh, the tears!” Sounds like theirs was a relationship full of trust and respect. 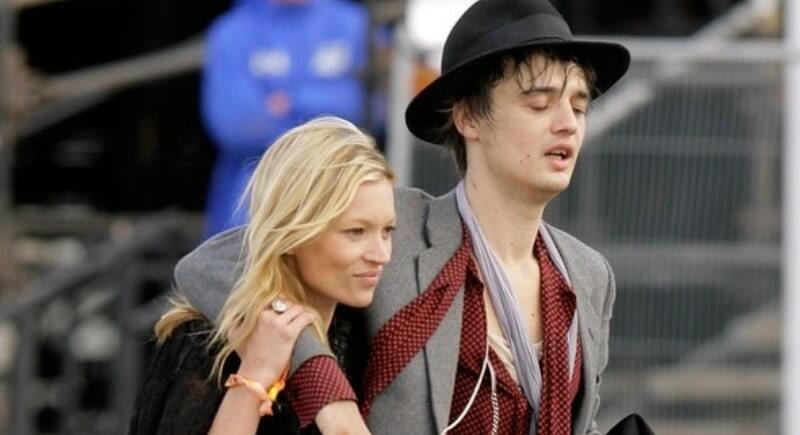 Kate Moss and Pete Doherty had a tumultuous on-again-off-again relationship from 2005 to 2007. They both seemed unstable in their love, with Doherty telling the press “I love her with all of my heart. I love her bones. I love her brains.” And then suddenly saying the next minute, “I was always dodging bullets, it became like the Vietnam War.” For years Doherty has struggled with substance abuse, even as recently as 2017. When the couple broke up in 2007, Kate Moss had reported earnings of $9 million, making her one of the world’s most top-earning models.